Welcome to Jack Harte’s page here at podcasts.ie, below you will find some unique and exclusive audio recordings of Jack’s work. 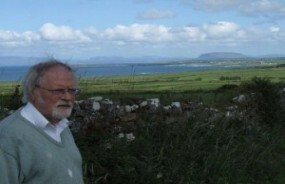 Jack Harte is a full time writer and is published both in Ireland and abroad. Jack was born in Kileenduff in Co Sligo and when he was nine years old his family moved to Lansboro in Co Longford. Jack’s first collection of short stories, Murphy in the Underworld, was published by Glendale Press in 1986. Dedalus Press published his novella, Homage, in 1992 and his second collection of stories, Birds and other Tails, in 1996. A selection of his stories, under the title, Birds and Selected Stories, was translated into Bulgarian and published by Orpheus (Sofia) in 2001. A volume of new and selected stories Under Gogol’s Nose was published by Scotus Press in 2004, along with ‘Lament for the Birds’, a CD of his stories and songs commissioned by Sligo County Council and recorded by All Points West Media Productions. Other works by Jack Harte include his 2006 volume of short stories ‘Dream of a Pyramid’, published in India by Rajkamal Prakashan in Hindi translation, and in 2007 a Russian translation of ‘From Under Gogol’s Nose’ was published by Voskresenye Publishing House and launched at the Moscow Book Fair. In 2006 Scotus Press published ‘In the Wake of the Bagger’, a novel commissioned by Sligo Co Council under the Per Cent for Art Scheme of the Irish Government, the first novel to be so commissioned. 2007 saw the publication in Bulgarian translation of his novel, ‘Reflections in a Tar Barrel’. 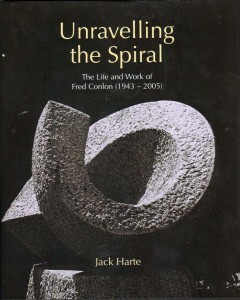 The English version was published by the Scotus Press in 2008 followed in 2010 by “Unravelling The Spiral” Jack’s book about the life and work of Sculptor Fred Conlon (1945 – 2005) in 2013 Jack released ‘Arcana’ on the Internet as an international UNESCO World Book Night event on 23 April, 2013. It was presented in eight languages and the event was live streamed by the online magazine Breac based in Notre Dame University in the US. While the main event took place in the Irish Writers’ Centre in Dublin, the translators joined in from locations around the world from Mexico to China. Beautiful idea. Well achieved. 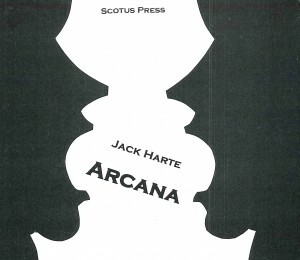 Jack Harte’s readings are clear, moving, beautifully presented. Well done, and great good luck with the venture. Thank you John on behalf of Jack, your comments will be passed on to him and we are sure he will appreciate them as much as we do. This is the best site i’ve ever visited! Fantastic site. A lot of useful info here. I am sending it to some friends ans also sharing in delicious. And certainly, thanks for your effort! I have read the book but to listening to Jack reading it is a great joy. It’s like getting deeper into the story.